Beginning with the Civil War and its interruption of Mississippi River traffic, the Saint Louis riverfront began a long decline. Once the third busiest US port, by the twentieth century, it had fallen into decay. Trying to recapture or at least commemorate its role in westward expansion, city fathers hit upon the idea of a monument. Its site, the site where Saint Louis was originally founded, was cleared. An architectural contest was then held to select a design. Of five finalists, two designs were created by a father-son, Finnish-American pair, Eliel and Eero Saarinen. A mistake sent the congratulating telegram to father Eliel, but quickly corrected, son Eero was named the real winner. This mistake was understandable since the two men shared the same last name, first initial, workplace and even birthday. Eero’s initial design work was performed with pipe-cleaners planted in the living room rug. Preliminary designs called for a shorter arch, built with quadrilateral sections, instead of equilateral triangles, with which it was finally made. At 51, Eero died before his design was built. On NPR this morning, the local announcer was reciting the temperature, first for the satellite affiliates, which were all minus this or minus that. Finishing with Saint Louis, where the temperature was “negative”, negative five to be precise. Anne took exception to being singled out in such a less than positive manner. When I picked Anne up from school last night, she giddily announced that she had heard a rumor. Hoping for something salacious, she instead told me that two teachers had told her that there will be no school today. The principal later confirmed that an official announcement would be made at 3:30. I hardly call that a rumor. So, no school today and maybe no mail either, we’ll have to see about that. The paper was delivered, but still sits out on the sidewalk. So close, yet so far. I’ll go out to get it, when it “warms up” some. I’m positive! The trash man is working. I saw him pop in-and-out of his garbage truck, with his bald uncovered head and empty our dumpster at the curb. While I kvetch about the weather, it is with the realization that the plunging nadir of this cold snap has already passed. Highs in the sixties are forecasted for this weekend. Still, this cold front has done its job. I’m not talking about the comradery that comes from a shared sense of schadenfreude. I’m speaking of budget authority for another trip to Florida! 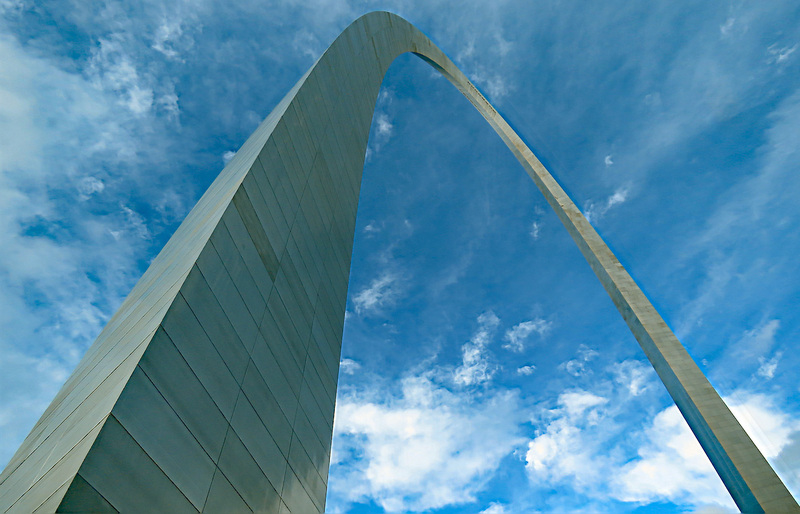 I think it was that couple from Chicago, who we met at the arch that tipped the balance. We were thinking of a getaway and Chicago was on the list. They were already heading south and we’ll just be joining their migration. There is plenty of planning yet to be done, but warmth here we come. This entry was posted in Art, Photography, Saint Louis, Weather by RegenAxe. Bookmark the permalink.